My personal web site - data, presentations etc. Co-author (with J. Turner) of “Antarctic Meteorology and Climatology” (CUP, 1997). Over 80 refereed research papers since 1979. Postgraduate training: Supervisor or co-supervisor for 19 PhD students since 1986. Executive member, EnvEast Doctoral Training Partnership management board, 2013-2018 . Strategy and executive boards member, ARIES Doctoral Training Partnership, 2018-. Lecturer, NCAS “Introduction to Atmospheric Science” course, 2007- . Journals: Member, Editorial Board, Weather 1996-1998. Associate Editor, Quarterly Journal of the Royal Meteorological Society, 1998-2004. Regular reviewer for Journal of Geophysical Research, Geophysical Research Letters, Quarterly Journal of the Royal Meteorological Society, Journal of Climate, International Journal of Climatology, Boundary-Layer Meteorology, The Cryosphere, Nature. Reviewing: Member, DFG Antarctic Programme review panel, 2007. MONSooN proposal review panel, 2013-2017 . Member, Helmholtz Association review panel for the Alfred Wegener Institute, 2018. Regular reviewer for proposals to US National Science Foundation, Partnership for Advanced Computing in Europe (PRACE), Italian National Antarctic Research Programme. Learned societies and international bodies: Council Member, Royal Meteorological Society 1996-1999. Member, International Commission on Polar Meteorology, 1997-2007, 2015- . Member of the Scientific Committee for the Bayer Climate Prize, 2008-2014. Member, WMO world record hurricane gust investigation committee, 2009. Member, WMO record Antarctic temperature investigation committee, 2015. Programme management: Member, Hadley Centre Climate Models Partners’ Board, 2005-7. Member, Joint Science Strategy Group, NERC-Met Office Joint Weather and Climate Research Programme, 2010-2013. Chair, NERC ACSIS Project Management Board, 2016-. Honours and awards: NERC Individual Merit Promotion, Band 3, 2011. Honorary professor, School of Environmental Sciences, University of East Anglia, 2018. Boundary-layer and mesoscale meteorology, including: Observational and theoretical studies of the atmospheric boundary layer in Antarctica, katabatic winds, blowing snow, air-sea-ice interaction, orographic effects. Climatology and climate modelling, including: Investigations of climate variability and change, particularly in the Antarctic Peninsula. Improving the parametrisation of polar surface processes in climate models. Courtney, J., Buchan, S., Cerveny, R.S., Bessemoulin, P., Peterson, T.C., Rubiera Torres, J.M., Beven, J., King, J., Trerwin, B., Rancourt, K.. (2012) Documentation and verification of the world extreme wind gust record: 113.3 m s–1 on Barrow Island, Australia, during passage of tropical cyclone Olivia. Australian Meterological and Oceanographic Journal, 62. 1-9. King, John. (2010) Review of The long thaw. By David Archer. Princeton: Princeton University Press, 2009. Polar Record, 46. 91-92. King, John C., Pomeroy, John W., Gray, Donald M., Fierz, Charles, Fohn, Paul M. B., Harding, Richard J., Jordan, Rachel E., Martin, Eric, Pluss, Christian. (2008) Snow-atmosphere energy and mass balance. In: Snow and Climate: Physical Processes, Surface Energy Exchange and Modeling, Cambridge, Cambridge University Press, 70-124. 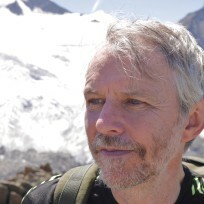 King, John C.. (2007) Antarctic climate variability and change. In: Proceedings of a seminar held at ECMWF on Polar Meteorology, 4-8 September 2006, Reading, ECMWF, 67-74. King, John C.. (2007) Atmospheric boundary layer. In: Encyclopedia of the Antarctic, New York, Routledge, 99-102. King, John C.. (2007) Climate change. In: Encyclopedia of the Antarctic, New York, Routledge, 252-255. Vaughan, D.G., Anderson, P.S., King, J.C., Mann, G.W., Mobbs, S.D., Ladkin, R.S.. (2004) Imaging of firn isochrones across an Antarctic ice rise and implications for patterns of snow accumulation rate. Journal of Glaciology, 50. 413-418. King, J.C.. (2002) Pingu’s pleasure: why is it colder at the South Pole than at the North Pole?. New Scientist, 176. 89-89. Cassano, John J., Parish, Thomas R., King, John C.. (2001) Evaluation of turbulent surface flux parameterizations for the stable surface layer over Halley, Antarctica. Monthly Weather Review, 129. 26-46. Ackley, S.F., Geiger, C.A., King, J.C., Hunke, E.C., Comiso, J.. (2001) The Ronne polynya of 1997/98: observations of air-ice-ocean interaction. Annals of Glaciology, 33. 425-429. Renfrew, Ian A., King, John C., Markus, Thorsten. (2001) Coastal polynyas in the southern Weddell Sea: variability of the surface energy budget. In: Sixth Conference on Polar Meteorology and Oceanography, San Diego, May 2001. Preprints, Boston, American Meteorological Society, 21-24. King, J.C., Anderson, P.S., Mann, G.W.. (2001) The seasonal cycle of sublimation at Halley, Antarctica. Journal of Glaciology, 47. 1-8. Rees, J.M., Denholm-price, J.C.W., King, J.C., Anderson, P.S.. (2000) A climatological study of internal gravity waves in the atmospheric boundary layer overlying the Brunt Ice Shelf, Antarctica. Journal of the Atmospheric Sciences, 57. 511-526. Denholm-price, J.C.W., Rees, J.M., Anderson, P.S., King, J.C.. (1999) Beamsteering analysis of internal gravity waves in the stable atmospheric boundary layer. In: Mixing and dispersion in stably stratified flows, Oxford, Oxford University Press, 423-437. King, J.C., Anderson, P.S.. (1999) A humidity climatology for Halley, Antarctica, based on frost-point hygrometer measurements. Antarctic Science, 11. 100-104. King, J.C., Harangozo, S.A.. (1998) Climate change in the western Antarctic Peninsula since 1945: observations and possible causes. Annals of Glaciology, 27. 571-575. Rees, J.M., Anderson, P.S., King, J.C.. (1998) Observations of solitary waves in the stable atmospheric boundary layer. Boundary-Layer Meteorology, 86. 47-61. King, J.C., Anderson, P.S., Smith, M.C., Mobbs, S.D.. (1995) Surface energy and water balance over an Antarctic ice shelf in winter. In: Fourth Conference on Polar Meteorology and Oceanography, Dallas, Texas, Janaury 1995. Preprints, Boston, American Meteorological Society, 79-81. Harangozo, Stephen A., Colwell, Steve R., King, John C.. (1994) Interannual and long-term air temperature variability in the southern Antarctic Peninsula from a reconstructed record for eastern Alexander Island. In: Sixth Conference on Climate Variation, Nashville, Tennessee, January 1994. Preprints, Boston, American Meteorological Society, 259-261. King, John C., Mobbs, S.D., Edwards, N.R.. (1994) Surface boundary conditions in stably-stratified environmental flows. In: Stably stratified flows: flow and dispersion over topography, Oxford, Clarendon Press, 93-103. (Institute of Mathematics and its Application conference series. New series, ). Rees, J.M., McConnell, I., Anderson, P.S., King, J.C.. (1994) Observations of internal gravity waves over an Antarctic ice shelf using a microbarograph array. In: Stably stratified flows: flow and dispersion over topography, Oxford, Clarendon Press, 61-79. (Institute of Mathematics and its Applications conference series, New series, ). Culf, A.D., McIlveen, J.F.R.. (1993) Acoustic observation of the peripheral Antarctic boundary layer. In: Waves and turbulence in stably stratified flows, Oxford, Clarendon Press, 139-154. (Institute of Mathematics and its Applications conference series, New series, ). Culf, Alistair D.. (1993) Acoustic sounder observations of low level jets at Halley, Antarctica. In: Waves and turbulence in stably stratified flows, Oxford, Clarendon Press, 121-138. (Institute of Mathematics and its Applications conference series, New series, ). King, John C.. (1993) Contrasts between the Antarctic stable boundary layer and the mid-latitude nocturnal boundary layer. In: Waves and turbulence in stably stratified flows, Oxford, Clarendon Press, 105-120. (Insitute of Mathematics and its Applications conference series, ). Mobbs, S.D., King, J.C. (eds.). (1993) Waves and turbulence in stably stratified flows. Oxford, Clarendon Press, 465 pp. (Institute of Mathematics and Applications conference series, new series, 40). King, John C.. (1991) Recent climate variability in the Antarctic Peninsula. (Preprint). In: Fifth Conference on Climate Variations. Denver, Colorado, October 1991, Boston, American Meteorological Society, 354-357. McConnell, I., Rees, J.M., King, John C., Anderson, Philip S.. (1991) Observations of internal gravity waves in the Antarctic boundary layer using a microbarograph array. (preprint). In: Eighth Conference on Atmospheric and Oceanic Waves and Stability, Denver, Colorado, 1991, Boston, American Meteorological Society, 332-335. Mobbs, S.D., Rees, J.M., Darby, M.S., Brindley, J., King, John C.. (1989) Internal gravity waves in the atmospheric boundary layer. In: University research in Antarctica. Proceedings of British Antarctic Survey Antarctic Special Topic Scheme Symposium 9-10 November 1988, Cambridge, British Antarctic Survey, 35-41. King, John C.. (1988) Some measurements of turbulence length scales in the stably-stratified surface layer. In: Stably stratified flow and dense gas dispersion, Oxford, Oxford University Press, 39-53. (Institute of Mathematics and its Applications conference series, ). King, John C., Anderson, Philip S.. (1988) Installation and performance of the STABLE instrumentation at Halley. British Antarctic Survey Bulletin, 79. 65-77.